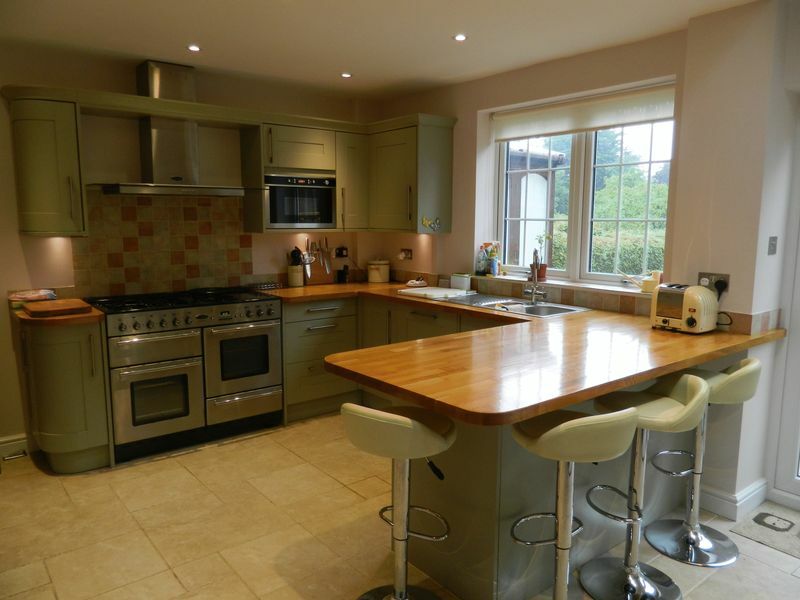 A fantastic opportunity to aquire this lovely detached family home. 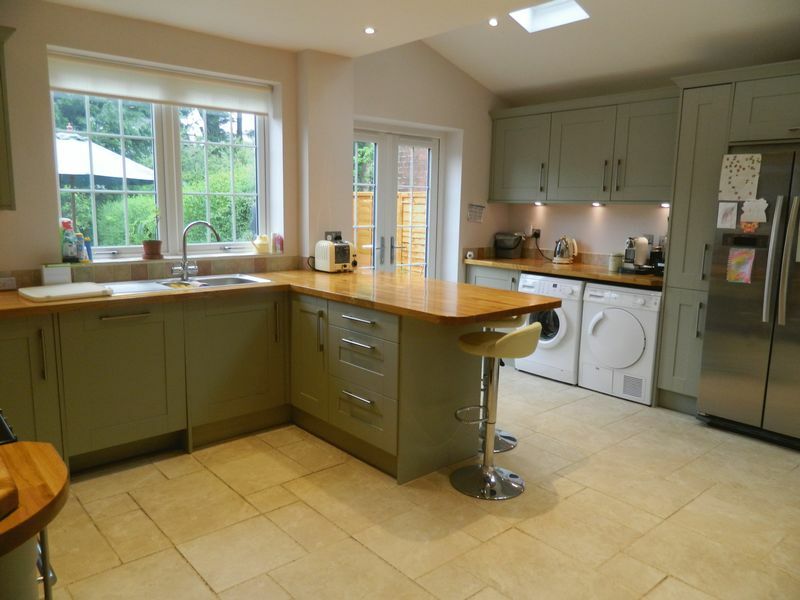 The property briefly comprises newly fitted kitchen/breakfast room, two reception rooms, conservatory, bedroom four, shower room, master bedroom with ensuite shower room, two further double bedrooms, family bathroom, private garden, garage and off-street parking for several cars. 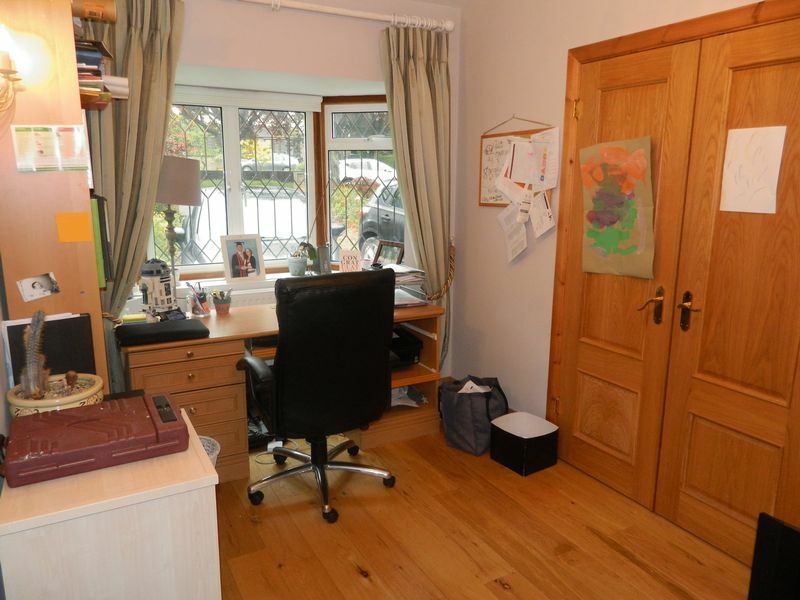 Situated in a highly desirable location within walking distance to local shops and amienities. 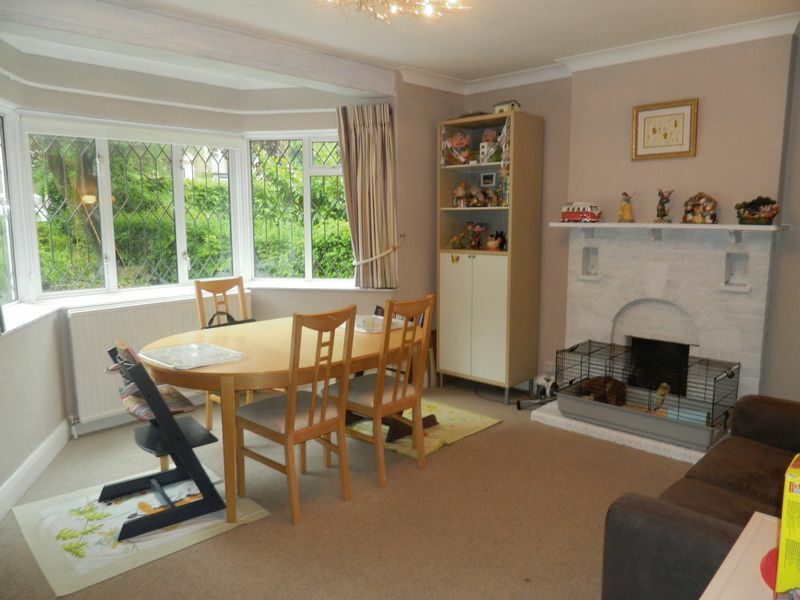 Large double glazed leaded bay window to front, feature brick fireplace, coved cornice and wood effect flooring. 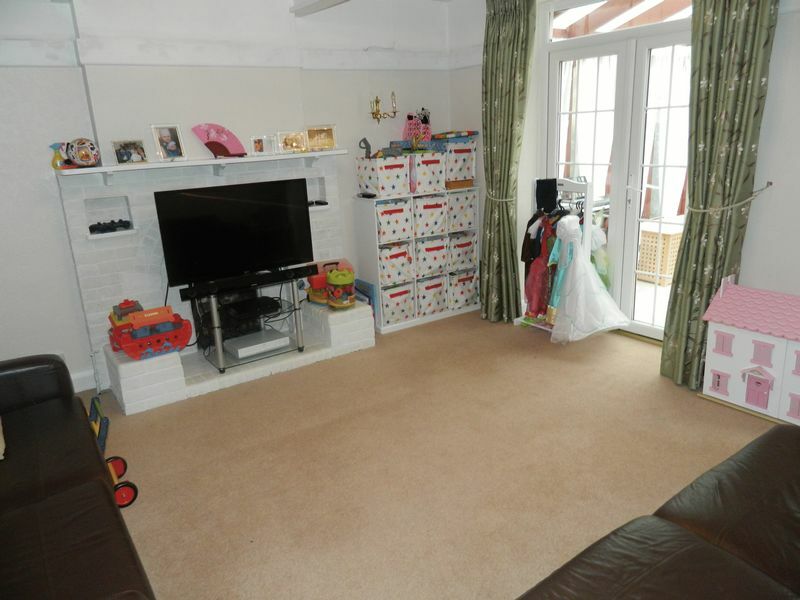 Large understairs storage area, large feature brick fireplace, double glazed double doors leading to conservatory, further double glazed door to conservatory and panelled radiator. Newly fitted wall and floor units with oak worksurface over, 1 1/2 bowl sink unit, breakfast bar with space for four stools, two skylights, space for tumble dryer, space for washing machine, space for American fridge/freezer, rangemaster with two ovens and hotplates, extractor and light over, obscured window to hallway, tiled floor, part-tiled walls, double glazed leaded doors to garden, double glazed leaded window overlooking rear garden, spotlighting and panelled radiator. Spacious entrance hall with feature wooden double front door with feature glass, wood effect flooring, wall mounted thermostat and dado rail. Double glazed leaded bay window overlooking front garden, wood effect flooring and panelled radiator. Walk-in fully tiled shower cubicle, sink fitted into vanity unit with shelving under, low-level w.c, fully tiled and heated towel rail. 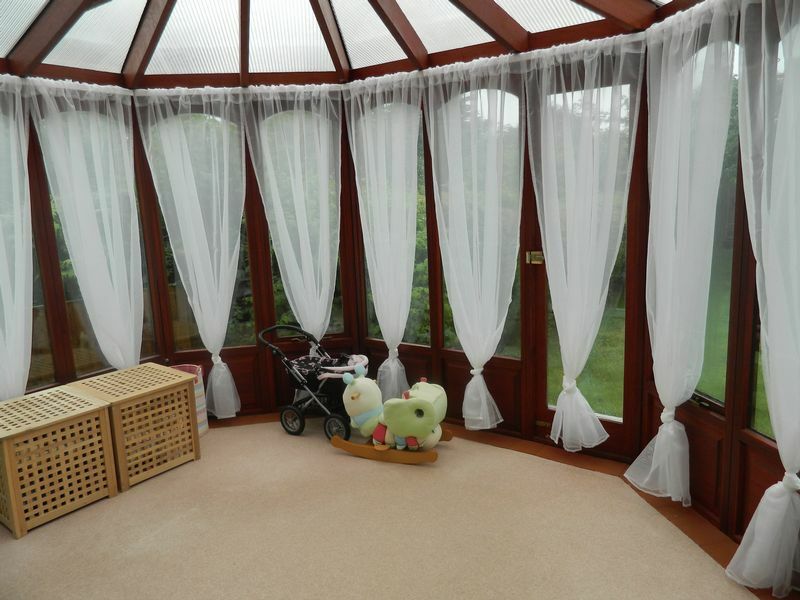 Wooden conservatory with floor to ceiling windows overlooking rear garden. 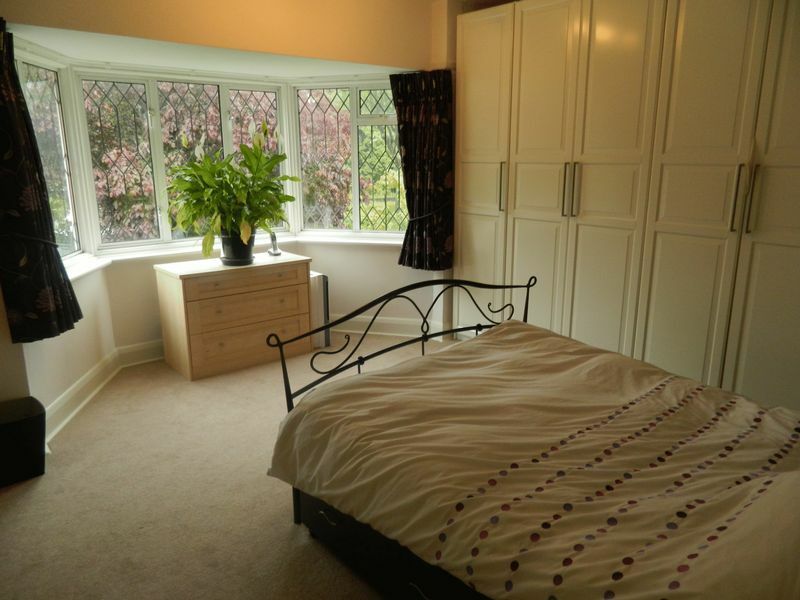 Double glazed feature bay window overlooking front garden, range of fitted wardrobes with hanging rails and shelving, dado rail and panelled radiator. 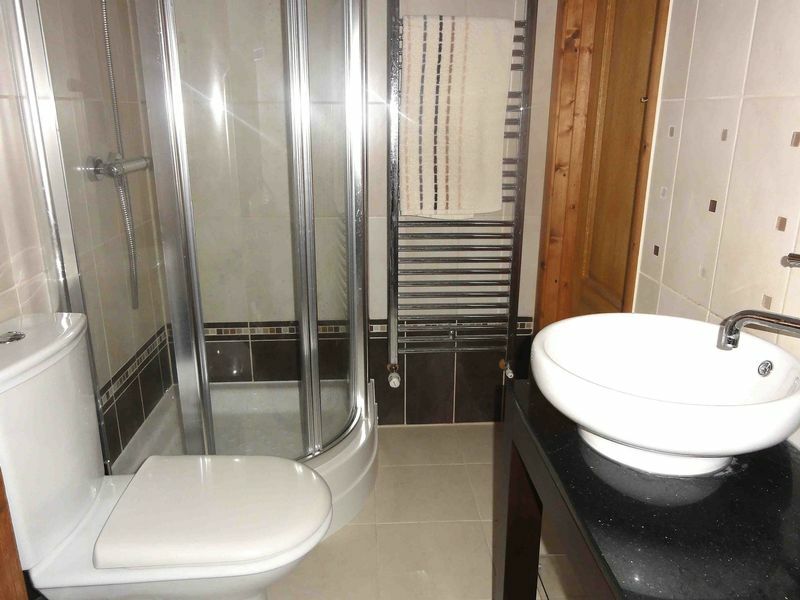 Large fully tiled walk-in shower cubicle with power shower, wall mounted shower cubilce, low-level w.c, wood effect flooring and double glazed leaded obscured window to front. Dual aspect room with double glazed windows to side and rear, fitted shelving, coved cornice and panelled radiator. 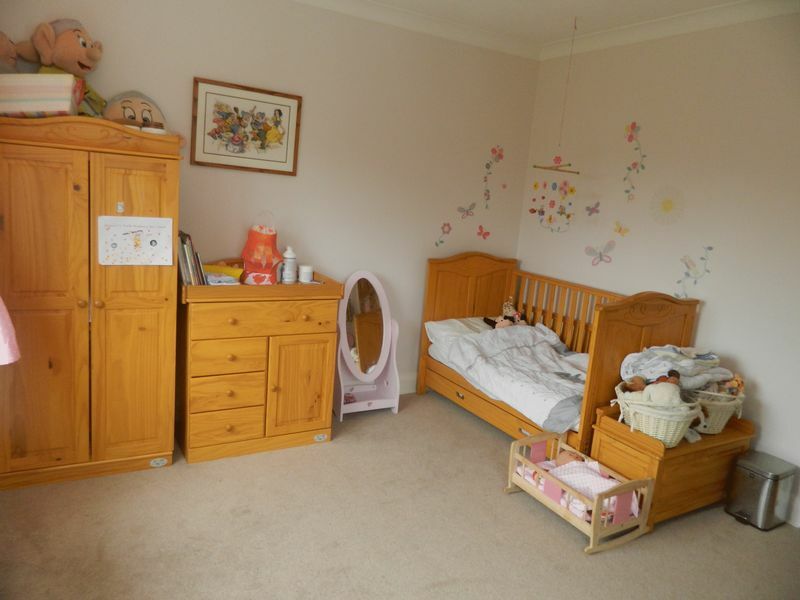 Dual aspect room with double glazed windows overlooking side and rear, coved cornice, cupboard housing hot water cylinder with shelving and panelled radiator. Double obsured window to side, low-level w.c, wall mounted sink unit with mixer tap, wood effect flooring. 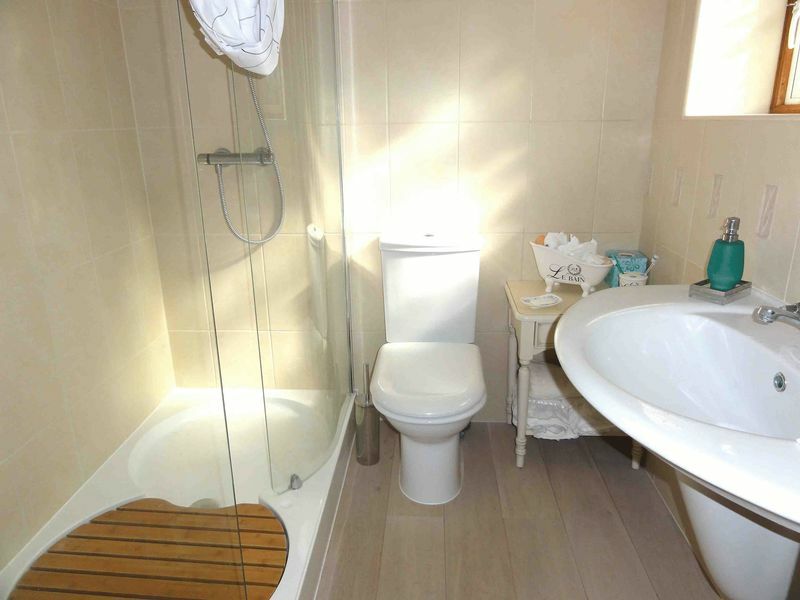 Panelled bath with mixer taps, walk-in fully tiled shower cubicle with electric power shower, obscured window to side. 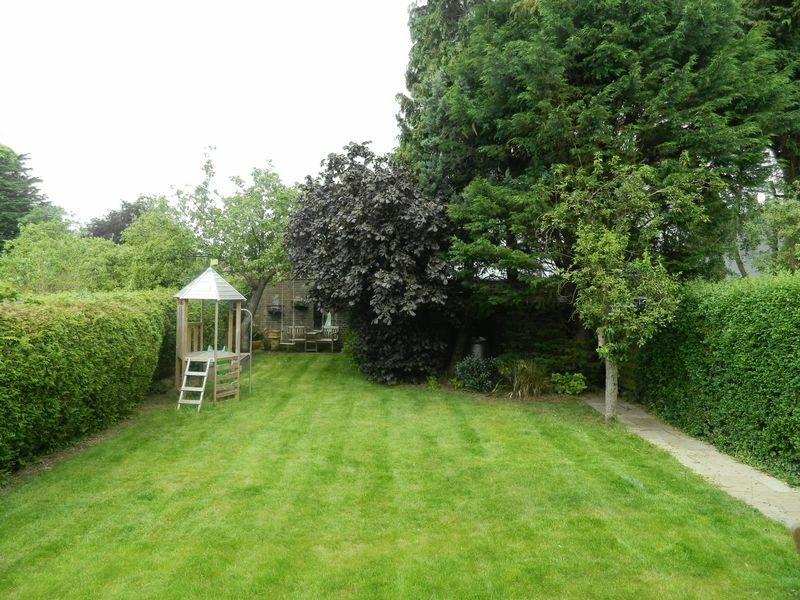 Fully enclosed garden with newly fitted large patio area, area mainly laid to lawn with mature trees and hedging, side access, door and gate with access to garage. 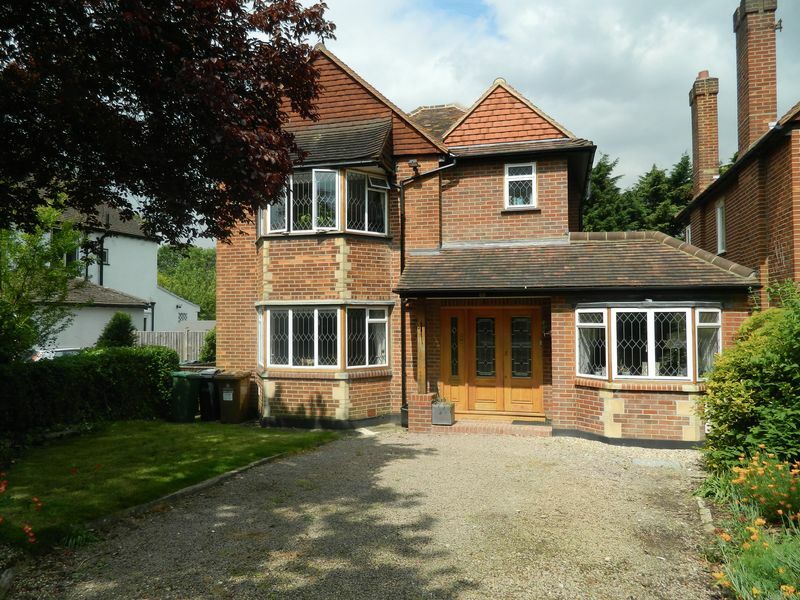 Accessed via Warren road, door to garden, folding double doors. 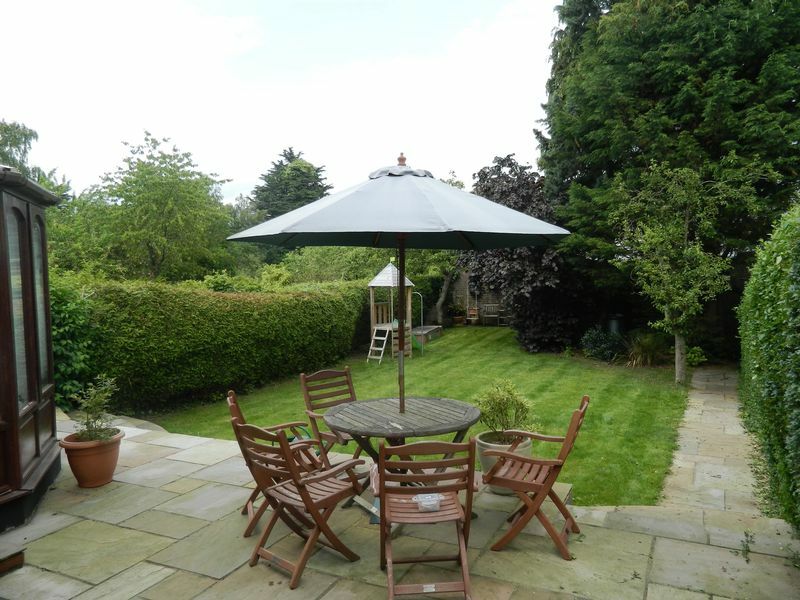 Area laid to lawn with mature trees, flower borders and off-street parking for 2-3 cars.